Once you visit our store you will soon see that we LOVE our buns! 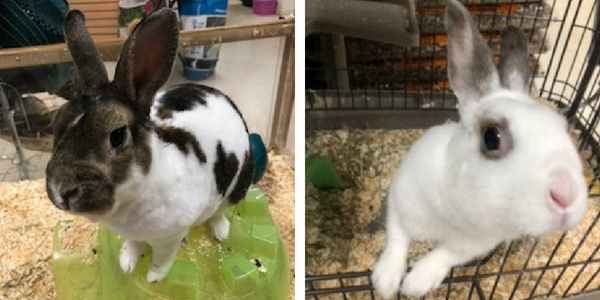 We have a variety of rabbit mascots at our store – Bruin, Buttercup, Scarlett, and others – that love getting attention from our customers. Come on in and visit them! 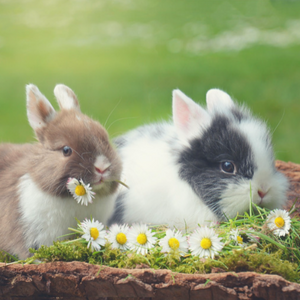 Rabbit safe chews & toys are important for your rabbit’s dental health and MENTAL health. Mix it up with a variety to keep your furball from getting bored. Small Animal Products You Know From A Name You Can Trust!